Sneak Peek! 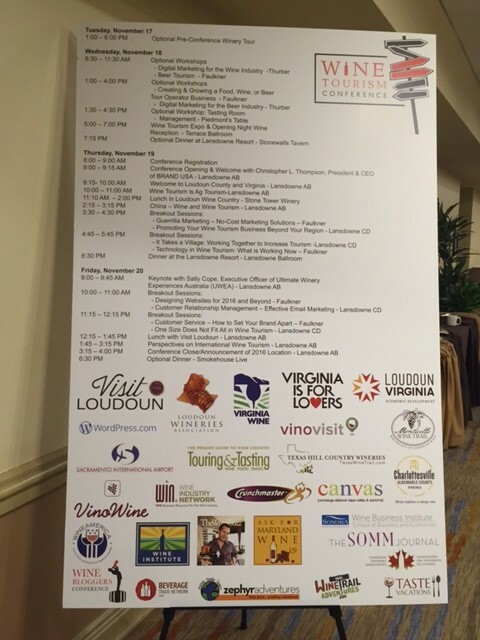 The 2015 Wine Tourism Conference is Officially in Full Swing! Our pre-conference workshops are kicked off with intensive sessions going on this morning including Digital Marketing for the Wine Industry and Beer Tourism with a panel featuring some of the leaders in the beer industry. Kicking off this workshop is wine industry expert Gary Nealon of Wine Trail Adventures, whose specific expertise is using digital marketing to increase sales. His presentation was packed full of great tactics an tips to increase traffic and promote your brand with a bang! Also speaking this morning is Nicole Skuba of BlueTreeDigital showing us great information on branding, representing your company and products plus valuable information on SEO and how to properly publish content to maximize rankings. Follow Wine Trail Adventures and Blue Tree Digital on Facebook and Twitter to find out more about their companies and expertise! Tommy Miller of Richmond Brewery Tours. Make sure to stick with us this afternoon for 3 workshops offered and then of course our Wine Expo at 5pm in the Terrace Ballroom. 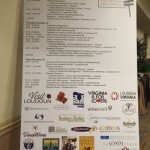 Thank to Lansdown Resort and of course to our experts for getting WTC15 kicked off today! Stay tuned for more updates here or follow us on Twitter to see up to the moment happenings!